Buy automatic rice milling and polishing machine - Shandong Leader Machinery Co.,ltd. 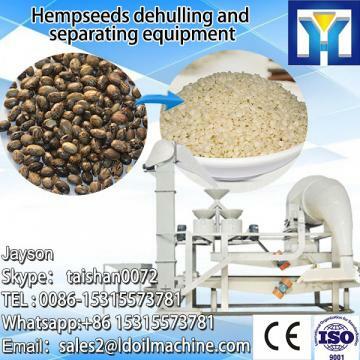 HYNP-500 Rice Milling and Polishing Machine mainly used milling the brown rice into white , and polishing . When the brown rice entering the hopper, then entering the milling white room after adjusting by door of control, rice along the axial impel forward steadily by the propellers, from the pressure of the door, make whole milling white room filled by the rice, making friction, grind cutting, tumbling of rice and rice or lever by rotating grinding roller motion, stripped exterior face of brown rice, the chaff powder through the sieve by suction fan discharge then recovery. 1. Nice appearance, reasonable structure, long service life, high production efficiency. 2 . Adjustable airflow and draw strong wind equipment. For the whole automatic rice milling and polishing machine,warranty is 12 months,within 12 months,if have equipment quality problems,we will provide accessories freely. After the expiration of the warranty period,if have spare parts problem,we only receive the cost of required replacement parts.We commit we will provide free technical support of equipment all whole life. Our company has engaged in producing and exporting automatic rice milling and polishing machine for many years, and until now, our machine has exported to overseas market, such as Brazil, India, Indonesia, Russia, Thailand and so on, and get the foreign customers' unanimous praise. We believe that you purchase Shandong Leader Machinery Co.,ltd. automatic rice milling and polishing machine is your best and sensible choice.